Brandon Lee Snyder, the son of Garry and Norma (Watt) Snyder, was born on April 1, 1982, in Fort Dodge, Iowa. He was raised and educated in Eagle Grove, graduating from Eagle Grove High School “Class of 2000”. He attended ICCC in Fort Dodge and worked at Tate&Lyle and was transferred to the Tate&Lyle plant in West Lafayette, Indiana in 2009. He was a Licensed Waste Water Technologist, owning and operating A1WW Consulting and was working for Heritage in Indianapolis. Brandon was a true outdoorsman! – he enjoyed hunting, fishing, trapping and camping. He also enjoyed spending time with his daughters and friends. 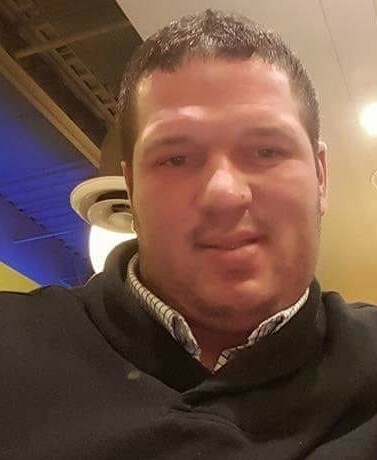 Brandon passed away on Friday, March 15, 2019, at Franciscan Health Center in Lafayette, at the age of 36 years old. He was preceded in death by his grandfather, Carl Snyder; grandmother, Mary Gray; uncle, Rick Snyder and several other aunts and uncles. Brandon is survived by his daughters, Drew Emily, Graceyn Elaine and Brylee Jean; parents, Garry and Norma Snyder of Eagle Grove; brother, Garry Snyder, Jr. (Tasha Grandgeorge) of Goldfield; grandmother, Bonnie Snyder of Goldfield; niece, Kendall Snyder; great-niece, Aubrey and many other aunts, uncles, cousins and friends. Visitation will be Saturday, March 23, 2019 from 10:30 a.m. to 12:30 p.m. at the Foust Funeral Home in Eagle Grove, with Burial to follow at Rose Hill Cemetery.